Garden florals bloom on this effortless cotton dress. Garden florals bloom on this effortless cotton dress. 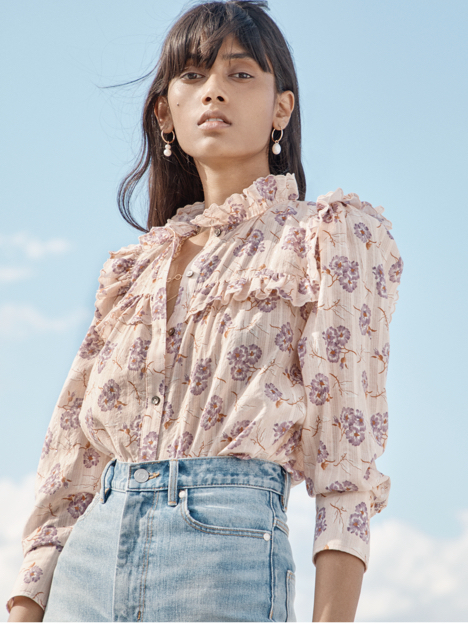 Its easy pull-on silhouette is defined by fluttery sleeves, a smocked waist and tiered ruffle skirt that exudes a carefree mood whether layered or worn alone.